In December of 2011, we built the office here in the front of our Shop on Whitley Dr. At the time, we only had 3 Journeyman Plumbers and Katie & Maurine were the only ones in the office and we had plenty of room. Over the last couple years, the business grew, the number of employees grew, we acquired a couple of new businesses, and the workload for Maurine & Katie became overwhelming. 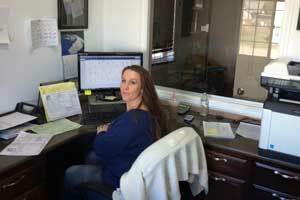 In January 2015, we hired Michelle in the office and started re=organizing the administrative workload to better handle the growth of the business. We quickly discovered that we didn’t have the desk space we needed to efficiently do our jobs. 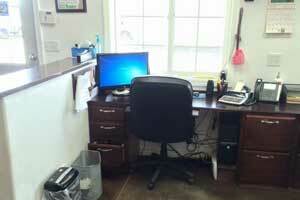 We petitioned for our office to be remodeled for 3 full-time spacious workstations. 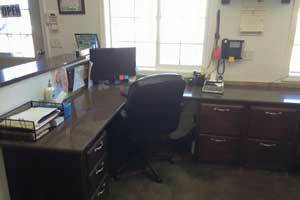 In April 2015, we undertook an office remodel to accommodate all three workstations, and to be more efficient. We ordered more desk cabinets and had RVP Construction come in a measure for Quartz desktops that would give us more room for our Computers and more counter space to accommodate our workload. We tore out the old countertop and added a complete wrap around Quartz countertop that gives us much more space and helps with efficiency and work flow. 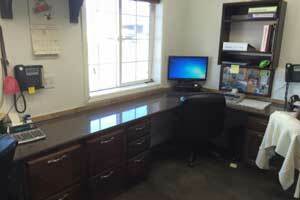 We all love our workstations now and are a lot more efficient in our work. 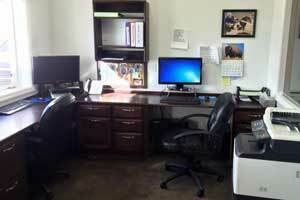 Thanks Dave and Katie for the beautiful office remodel.